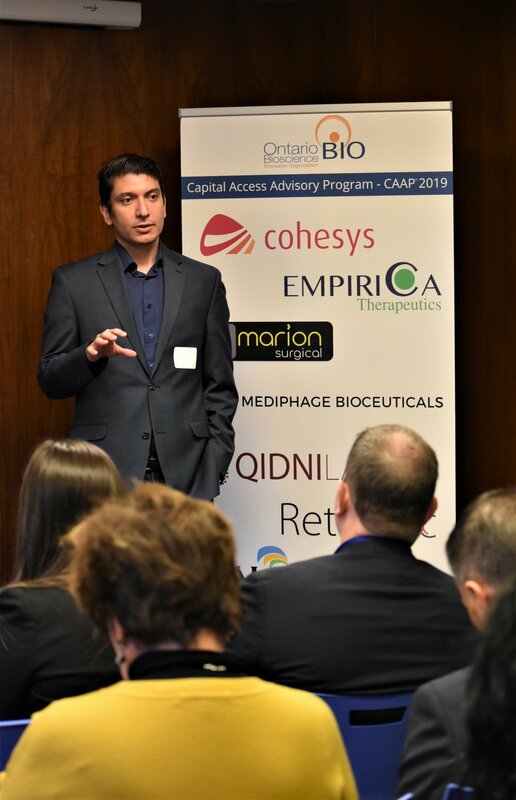 Toronto, Ontario – April 3, 2019 - The Ontario Bioscience Innovation Organization (OBIO®) is proud to announce its 2019 Capital Access Advisory Program (CAAP®) and the high-potential health science companies in this year’s program. 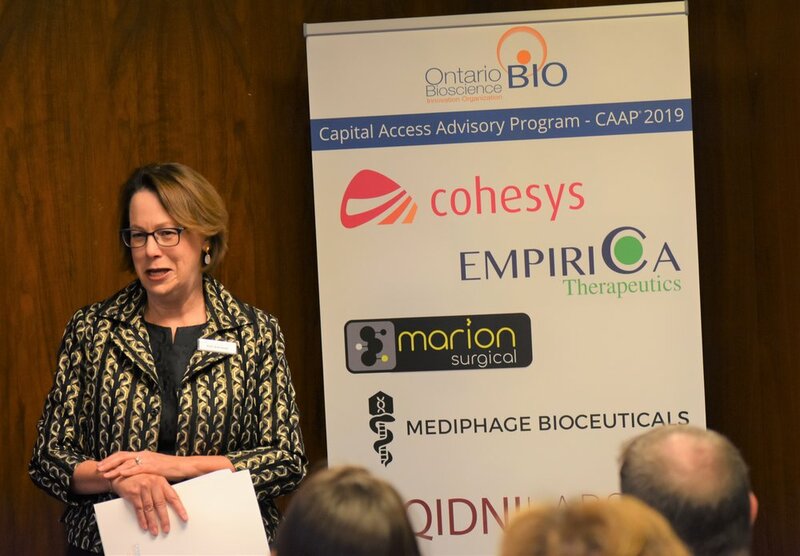 Now in its seventh year, this year’s OBIO CAAP companies will work with OBIO and a vast network of expert advisors over the next year to achieve key goals and objectives which will position them for successful financing. 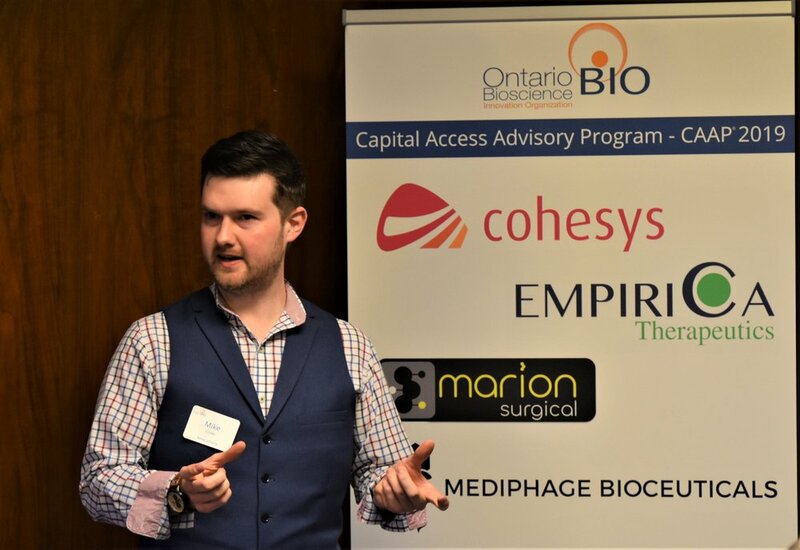 OBIO CAAP companies are advancing and accelerating the development and commercialization of therapeutics, diagnostics, medical devices and digital health products and services to benefit Ontario and global human health. 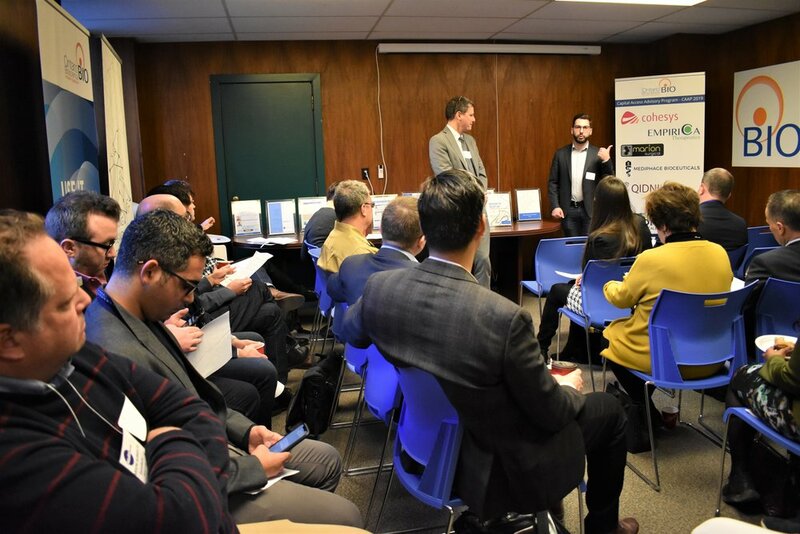 To find out more about CAAP and this year's cohort of 11 high potential companies, please read the full press release here. Cohesys revolutionizes bone fracture treatments with BoneTape, a novel resorbable adhesive tape for craniomaxillofacial fracture fixation. Empirica Therapeutics is developing a pipeline of innovative and transformative immunotherapies for cancers with substantial unmet need. 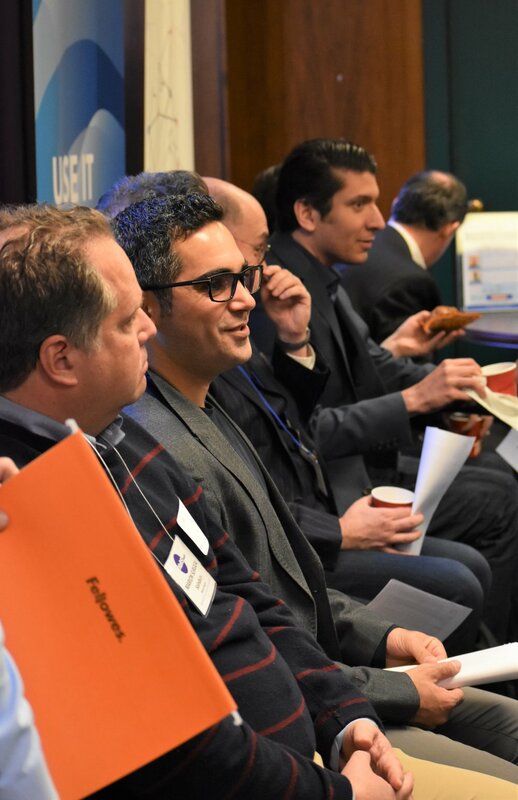 Marion Surgical has developed a virtual reality (VR) surgical rehearsal platform with haptics that allows practicing tomorrows surgery today. 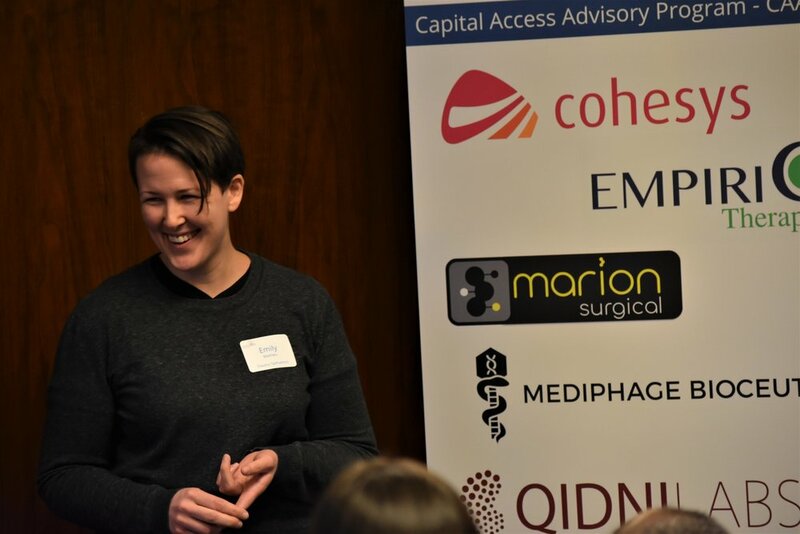 Mediphage Bioceuticals is developing safe, effective, and accessible gene delivery platforms to unlock the therapeutic power of personalized, redoseable genetic medicine. 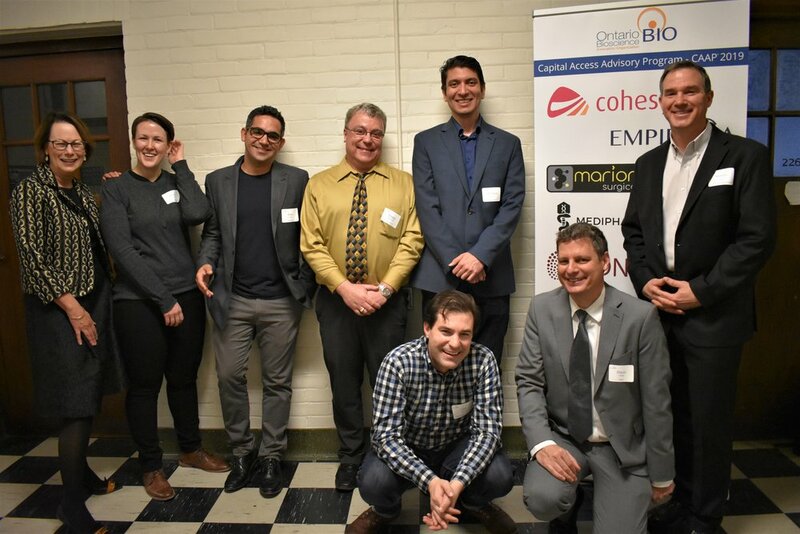 RetiSpec has developed a non-invasive, simple to use and inexpensive tool for detection of early Alzheimer’s disease biomarkers in the eye based on machine learning, paving the way for a widely adopted Alzheimer's screening. Talon Pharmaceutical is a medicinal chemistry company developing novel drugs for difficult to treat cancers including highly aggressive forms of brain and breast cancer with poor prognosis and limited treatment options. 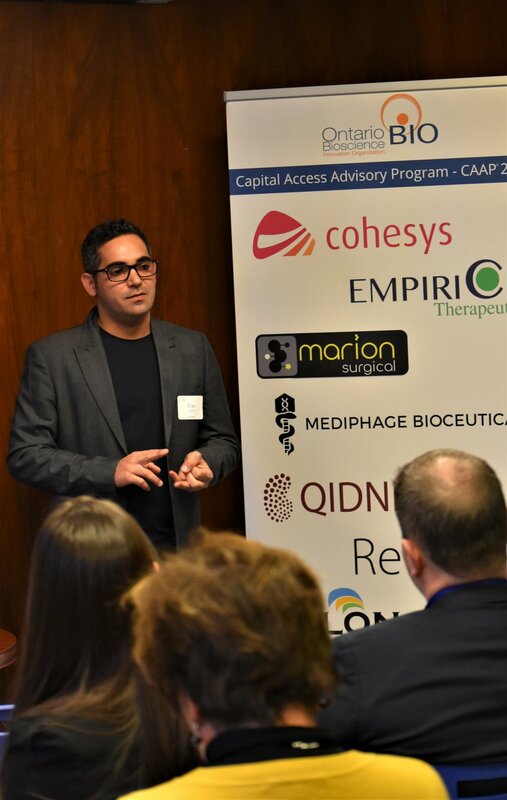 Qidni Labs, Inc. is developing the world's smallest blood purification system for millions of patients with kidney failure. The technology will be used as a wearable device that replaces dialysis, provides more frequent therapy and significantly improves the quality of life for kidney failure patients. Tracery Ophthalmics Inc. is a clinical stage ocular imaging & health tech company that harnesses image-based and non-image-based health data, artificial intelligence and cloud computing for the development of new diagnostic tools and individualized therapeutic strategies for blinding eye disease, first focusing on Age Related Macular Degeneration (AMD). Tracery’s technology provides a data-driven 3-part platform for Precision Drug Development and Personalized Medicine. Vena Medical has developed the world’s smallest camera, capable of travelling through veins and arteries, changing the way physicians treat patients today, and creating a platform for brand new procedures tomorrow.